Next in line to hit the crates for FACT TV's Record Shopping series: Future Times boss, Beautiful Swimmers member, and all-round good dude Maxmillion Dunbar. 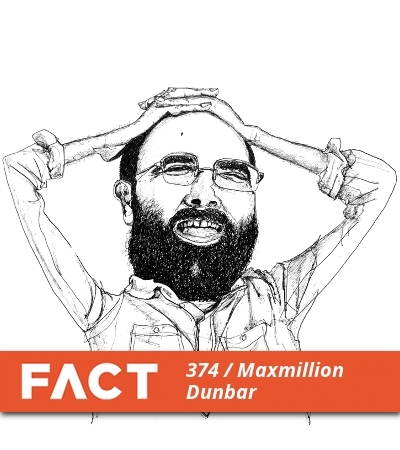 Dunbar - or, as his nearest and dearest know him, Andrew Field-Pickering - has been a go-to for fans of dreamy 4x4 and woozy house long before L.I.E.S. was a twinkle in Ron Morelli's eye. His recent LP House Of Woo is an eclectic triumph - hard to describe, and harder to put down. Midway through a string of European dates, the Washington DC producer stopped by regular London haunt Phonica Records, and was good enough to bring FACT along for the ride. Picks of note? Pépé Braddock, Moiré, and Estonian boogie survivor Uku Kuut.